We are here, we are queer, and this is OUR WORLD too! “Nash Mir” (Our World) Gay and Lesbian Centre was established in Luhansk in Southeastern Ukraine in 1997 as a grassroots group. 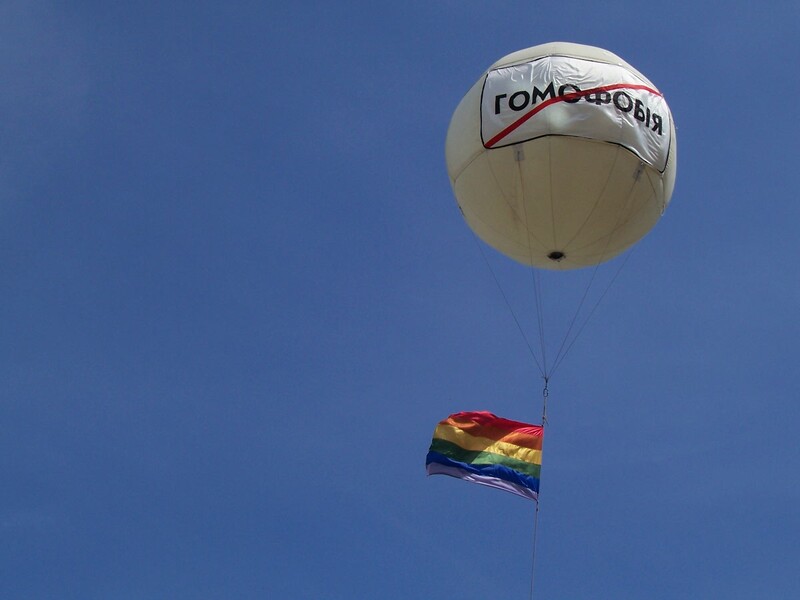 By our initiative we took upon ourselves the responsibility for educating Ukrainian society about homosexuality, toppling recurrent stereotypes and prejudices against gays and lesbians, consolidating lesbian and gay community, and for advocating our rights. This is the situation in Ukraine we discovered: there “wasn’t a problem with homosexuality” as long as it went unseen. At first, local judiciary officials simply did not know what to do with our organization! Interviewed by a national newspaper, one official said, “How can we recognize them [the organization] on an official level, as a juridical person? There is no legal basis, though this sort of orientation isn’t forbidden, but neither are precedents… If I register them, excuse me, wankers will come, and someone else… And what about morality?” Using far-fetched grounds they refused our registration. Certainly we did not let ourselves be humbled by such obvious discrimination. Nash Mir was indeed registered at the end of 1999. But successful registration was made possible only as the result of a determined battle by the members of the organization for their legal rights, and the steadfast attention to this issue on the part of some international human rights organizations. 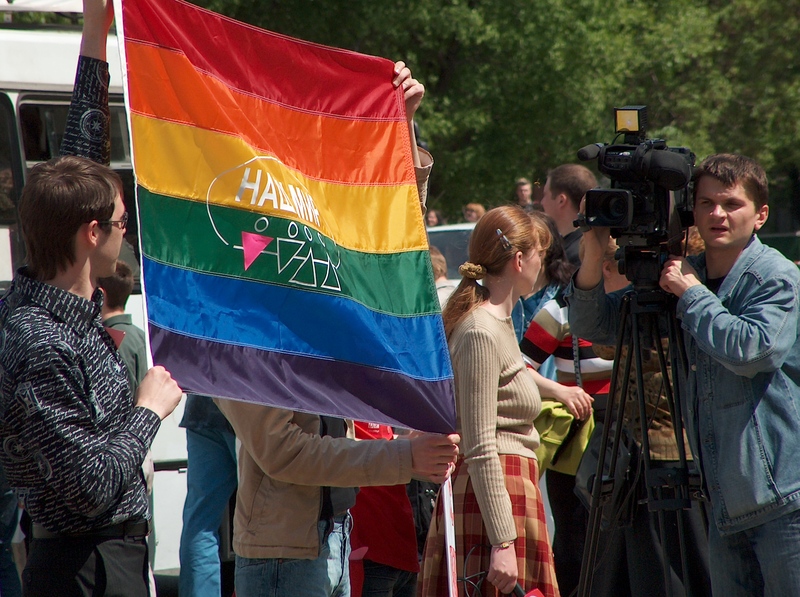 Protection of rights and freedoms towards LGBT in Ukraine and improvement of their legal protection, combating discrimination on grounds of SOGI (sexual orientation and gender identity). Improvement of society’s attitudes towards homosexuality and people of homosexual orientation, combating homophobic and transphobic sentiments in the mass consciousness. Upbringing of self-consciousness of LGBT as equal and valuable members of society. Monitoring violations of LGBT rights. Legal education of LGBT community. Activities aimed at improving Ukrainian anti-discrimination legislation and policies. Initial legal assistance and counselling for victims of discrimination and hate crimes based on sexual orientation or gender identity. Joint actions with other organisations to advocate for full LGBT rights on legislative and political levels. Organising seminars and conferences on related issues. Information provided by Nash Mir Centre has been used in Ukrainian mass media publications as well as in reports of the Council of Europe Commissioner for Human Rights, U.S. Department of State’s Reports 2007-2013, OCSE, UN Periodical Reviews 2008/2012 and other documents of various organisations and institutions. Nash Mir Centre’s publications include reports of research projects we realised, literature on legal education, legislative analyses, and booklets on HIV/AIDS awareness, tolerance, educational materials, and periodicals. 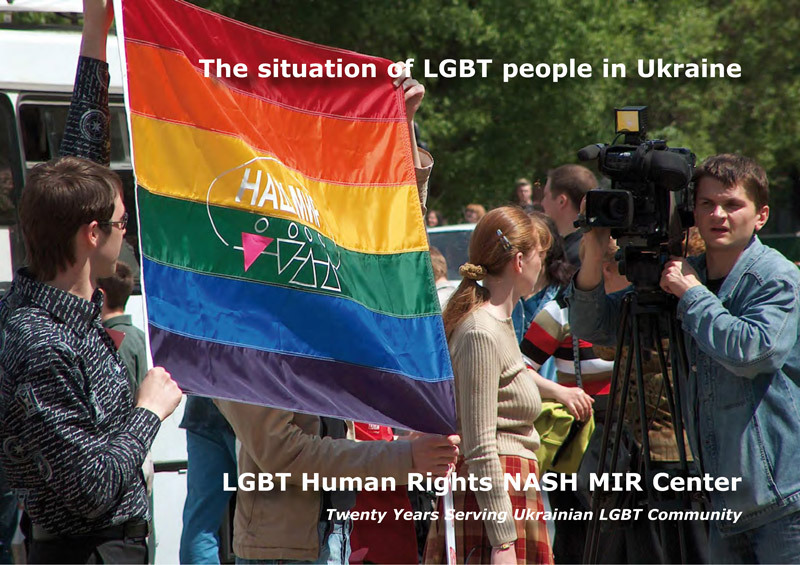 Nash Mir Centre is a founding member of the Council of LGBT Organisations of Ukraine (at present 26 NGOs are members). Nash Mir Centre is member of the Coalition for Combating Discrimination in Ukraine and is acting participant of its Strategic Litigation to Combat Discrimination Fund. 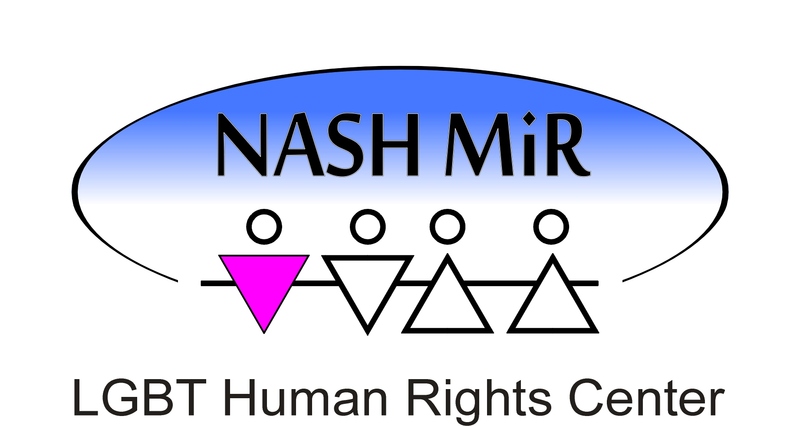 In 2013 we renamed organisation to LGBT Human Rights NASH MIR Center. For additional information about our work, please download Nash Mir’s brochure. It also gives information on how you could support (donate) our activities.